We talked, on the journey over Le Geria to San Bartolome, about whether or not the fifteen euro ticket price to see The London Conchord Ensemble might impact on the size of the audience in the Teatro. After all, only two nights earlier, the opening Lanzarote concert of the 35th Festival Internacional de Musica de Canarias, had offered us a (sponsored) free performance by Cuarteto De Cuerda Quarigo in Iglisas de San Roque, in Tinajo, and more than three hundred people had congregated to hear an inspired, and inspiring, performance of Haydn. The larger theatre venue, we feared, with its raised stage might not be as atmospheric, the audience not as large and that might impact on the event. Such fears proved to be totally groundless. Teatro San Bartolome holds about five hundred or so, but there were only a handful of empty seats by the time the concert began. I firmly believe that the island’s arts lovers trust this arts arena, and others like it, to provide top quality artists, and so are prepared to pay for tickets even to hear acts they are not familiar with, and that was certainly the case tonight. For tonight’s recital the players came out of the wings to a centre stage that was set out with eight chairs and music stands in a semi-circle, and after a brief introduction, in Spanish, from the clarinet player, the seven piece orchestra opened with a selection from Schubert, known mainly as a songwriter. Many critics and scholars might suggest his nine symphonies stand in the shadow of Beethoven’s but others of us would argue that Schubert’s are revolutionary and Romantic in a way that Beethoven’s are perhaps not. The programme chosen tonight helped us to consider those opinions as London Conchord Ensemble played into a reverential, pin-drop silence that was held throughout what would prove to be a superb demonstration of top quality musicianship. Great empathy between the players, with individual personalities and a very obvious love of their music shining through on several occasions, would make this a wonderful night. Two violins led the opening bars into the Adagios of Schubert’s Octeto in F major, Opus 155, before the rest of the ensemble joined in to skip through these merry pieces, as the clarinet soared playfully above its fellow instruments. The allegro vivace seemed to me to start with a celebratory fanfare before the strings led us through meticulous, but again merry, music with a mischievous clarinet occasionally stepping out of line to chase butterflies or whatever else caught its fancy during what sounded like a lovely summer stroll. This dancing clarinet was played by Maximiliano Martin, Principal Clarinet of the Scottish Chamber Orchestra and winner of the Young Artists Platform in 2002. He has performed at the Wigmore Hall London, Queens Hall Edinburgh, Palau de la Musica Barcelona and Teatro Monumental in Madrid. As a soloist he has performed with major orchestras and his chamber music collaborations include Pekka Kuusisto, Bourgue, Zacharias, London Winds and the Doric String Quartet. A Regular guest principal with orchestras such as the London Symphony Orchestra, Maximiliano has worked with conductors like Abbado, Haitink and Mackerras. Maximiliano Martin has also recorded his debut album “Fantasia”, the Mozart Clarinet Concerto and Messiaen Quartet for the end of times and his new album “Vibraciones del Alma” for Linn Records. He teaches at the RSAMD and is one of the Artistic Directors of the Festival de Camara Villa de La Orotava held every year in his home town in Tenerife. The andante variations opened with violins, before being joined by the wind instruments and some tight underpinning by the viola, and violonchelo, then enabled their colleagues in the string and wind sections to indulge in some lovely and effective call and response. The minuetto allegretto then had the wind section seemingly chasing the violins until the selection was excitingly concluded by the andante milto allegro with all the instruments contributing vitally to the whole. It had been noticeable throughout the set not only how much mastery each player had over his own instrument but also how constantly aware each individual was of the notes and nuances of his colleagues. The music was pristine and precisely played but that should not suggest any lack of enjoyment or individuality on the part of the orchestra members. In fact, the stand-up player of the violoncello, for all his classical training, was enjoying himself as if playing in Buddy Holly’s backing band, The Crickets. It is not only Otis Redding who has soul, and it isn’t only Elvis who rocks, it is also classically trained musicians, like Nikita Naumov, who can bring their music to life with a blow out jam in the same way as pop musicians can. As well as performing with The London Conchord Ensemble, Nikita is Principal Double Bass with the Scottish Chamber Orchestra and has held the position since 2010. He has worked with many of the finest orchestras and played as a guest principal with the London Symphony Orchestra, BBC Symphony Orchestra, Royal Northern Sinfonia, Royal Scottish National Orchestra, Royal Philharmonic Orchestra, Royal Liverpool Philharmonic Orchestra, BBC National Orchestra of Wales, as well as major orchestras in Norway and the Netherlands. He and his colleagues had made this set great fun and we still could look forward to drawing comparisons to Beethoven in the second half. That second half began, though, with a selection from the works of Jean René Désiré Françaix. a French neoclassical composer, pianist, and orchestrator, known for his prolific output and vibrant style. London Conchord Ensemble played from his Octeto para clarinet, trompa, fagot, two violins, viola, violonchelo and contrabajo and so the seven males of the first half session were now augmented by a lady playing the viola. The communally played opening note of the moderato was left to linger long in the air before various instruments took on lengthy and exploratory solo playing. At the very point they seemed about to collapse they were invariably rescued by another player taking over proceedings. The scherzo opened in a slow, stately manner with one violinist joining in late to then lead the melody that concluded plaintively with all instruments on board. The final piece of this jigsaw was the andante, that saw all the orchestra start as one and, even within that sound and amidst all that strumming and blowing, we could see and hear hands being tapped on the bodies of instruments, creating a percussive beat. The music gathered speed and urgency throughout this final offering, to bring this selection from Francaix to a storming conclusion. Now we would be given an opportunity to compare and contrast the work of Schubert with that of Ludwig Van Beethoven. To weave strands ever more tightly together, it is worth also noting that for some time Beethoven studied alongside Haydn, another musician and composer to have been feted in this 35th annual festival, on its opening night by Cuarteto De Cuerdo Quiroga. All of a sudden, opportunities to compare and contrast this music and its writers were arriving all at once. Most classical music buffs identify Beethoven as one of the three Bs, with Bach and Brahms, giants of the classical music genre. There are those, too, who see him as a pivotal figure in ´growing´ the form from its eighteenth century classicism into the romanticism of the nineteenth century. In doing so, there is no doubt that Beethoven left a legacy of music that had a profound effect on musicians who sought to follow in his footsteps. I doubt that Beethoven would have ever had any idea, though, that his music would be included on The Voyager Golden Record, an audio music collection that would be sent, literally on light years of travel, into outer space with the two Voyager space probes ! Whether or not he intended his work for such a journey, Beethoven composed in several musical genres and for a variety of instrumental combinations. Of his compositions for full orchestras, the ninth and final one even included a chorus, in reflection perhaps of earlier folk lore music from around the world and perhaps even in anticipation of the popular songs of the western world in the twentieth century. 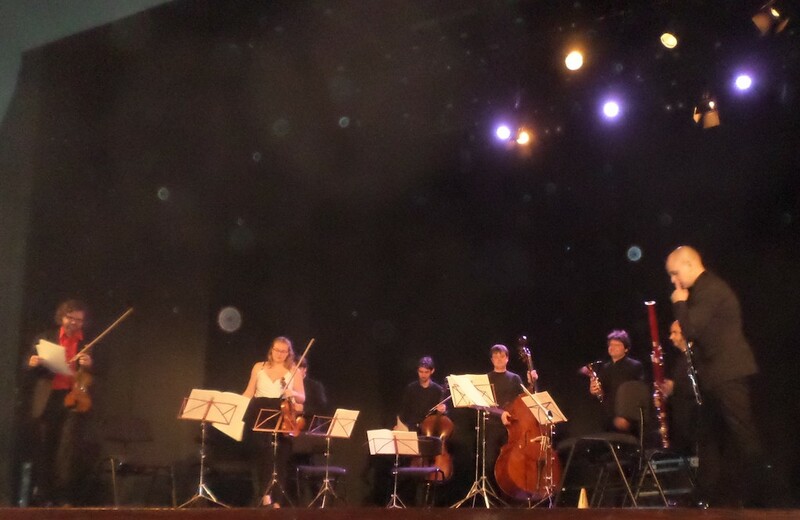 London Conchord Ensemble chose to play pieces from his Opus 20, ´Septimo,´ written specially for seven piece string orchestras, albeit that by now the ensemble on stage had become an eight piece. I am embarrassed to say, though, that all my life I have steered away from classical music because of my lack of knowledge about its genres and ground-breaking composers. It is true that, because of how they speak of the landscapes and frontiers I love, I have always enjoyed the panoramic sweep of Dvorak and Copeland, whilst somehow remaining wary of what I somehow perceived as Beethoven´s seemingly more challenging music. On this occasion, though, London Conchord Ensemble introduced me to a Beethoven of stateliness and grace with the violoncello being plucked high up its neck, lending a dynamic bass line to the adagio, allegro con brio. The adagio can abilr had even an air of frivolity, much of that being led by the wind section. In the tempo minuet section we were hearing some ominous, deep notes but the music quickly zipped over them. From there the melody raced away, in a flurry of pizzicato, to its finale. Would that I was then able to draw sensible comparisons between what we had heard from these first two concerts on the Lanzarote leg of the 35th Festival Internacional De Musica De Canarias. Instead, I was left shuffling the pack of Haydn, Shubert and Beethoven as to which had been the most enjoyable, changing my mind every five minutes even whilst writing this article. Nor am I yet able to differentiate between the abilities of the two orchestras we had seen over the course of the week. Cuarteto De Cuerda Quiroga had been wonderful only two nights earlier and had made a very big sound for such a slight ensemble. Tonight, The London Conchord Ensemble had offered, perhaps, more sidetracks and detours, and it was no surprise to later find an extremely extensive discography on their web site. I will be ordering from it,…. extensively! Of the venues, Iglesas San Roque in Tinajo had offered an intimacy and a wonderful setting amidst religious artefacts but somewhat restricted views from the pews whilst Teatro San Bartolome had tonight offered better views and more comfortable seating. So, I shall not yet create any kind of hierarchy here, as Orquesta Barroca De Tenerife is still on our list to see at Convento De Santa Domingo in Teguise on 3rd February. Things may only get more complicated as I continue this crash course in classical music. I’m sure this article clearly reflects my lack of formal training or study in these areas, and demonstrates why I dare speak only of my emotional reaction to these classical concerts. I am invariably impressed with the skills of the players on every occasion, and pleased to see how much they all seem to enjoy playing to a live audience. I would also have to say how much fun it is at my time of life to come to know better some of the works of famous names such as those mentioned in this review. It is for those reasons I feel compelled to recommend these types of concert. You do not have to be an aficionado to enjoy them and as much as the pleasure of listening you can also enjoy the pleasure of learning more about the instruments, the ensembles, the individual players, the composers and the genres of music with classical works. Its all a bit more genteel than Glastonbury,….but,…you know, I’m sixty six. I’m very nearly a grown up ! There are still more fantastic arts events coming up in February, and it is always worth following the hyperlink in Miguel’s newsletter to his what’s on space which carries weekly information that will invariably more comprehensive and complete than I can include here. So have a look below at what I’ve been made aware of but verify through Miguel’s what on and any other sources you can find. Just about any arts event on the island will reward your troubles, and the theatre events detailed below sound intriguing. Three unemployed friends affected by the crisis and surrounded by anguish and insecurity, unemployment, relationships and maturity issues, get together to get a mysterious plan started aiming to overcome this situation. Whilst trying to fix a car they need in order to reach their goals, a tangled mess threatens to affect the harmony of the characters. The play makes us think about friendship. Comedy and drama of the three characters socially excluded because of the crisis. Spain, 1960’s. A housewife called Ana meets a French photographer called Vivian. They fall in love, mainly due to Ana’s aspirations of freedom, whose overwhelming reality has nothing to do with Vivian’s free spirit. The fear of punishment for adultery or homosexuality is at the back of their minds. In the hairdressing salon of their confidant, Satur, there’s room for humour and relief. Marta Viera, Rubén Darío, María de Vigo and Ruth Sánchez feature in this play written by Irma Correa and directed by Mario Vega. 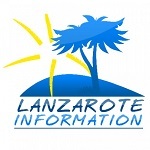 And in the Cultural Area of the Cabildo of Lanzarote from 9.00 to 14.00 and at the ticket sales office of Víctor Fernández Gopar theatre, “El Salinero”, on the same day of the performance, an hour before the show starts, provided there are still tickets available. Villa 495 is on Montaña Roja in Playa Blanca and has incredible ocean and mountain views. It's complete with AC, pool and hot tub.